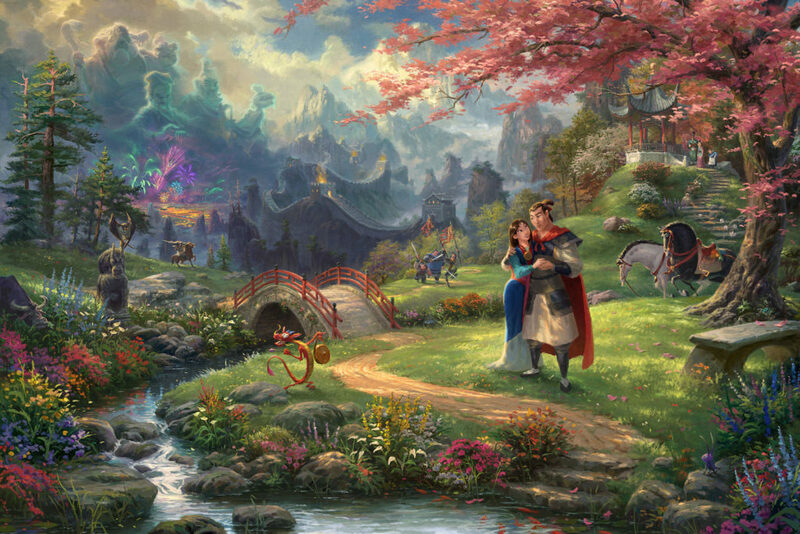 As the exclusive Thomas Kinkade Signature Gallery for the Smoky Mountains Region, we are proud to represent the artwork of Thomas Kinkade, Zac Kinkade, and Robert Girrard. Thom’s wish was that his artwork would be a messenger of hope and inspiration. 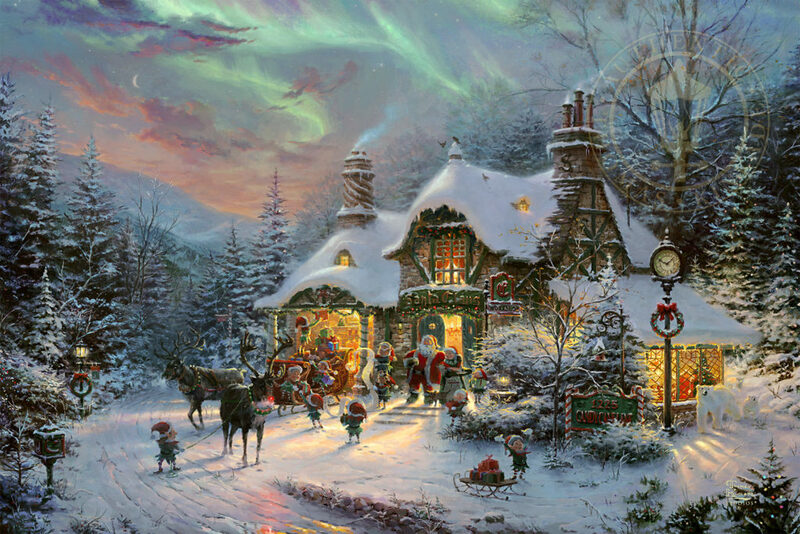 As millions of collectors now enjoy his artwork in their homes, there is no doubt that Thomas Kinkade achieved his goal of Sharing the Light™. 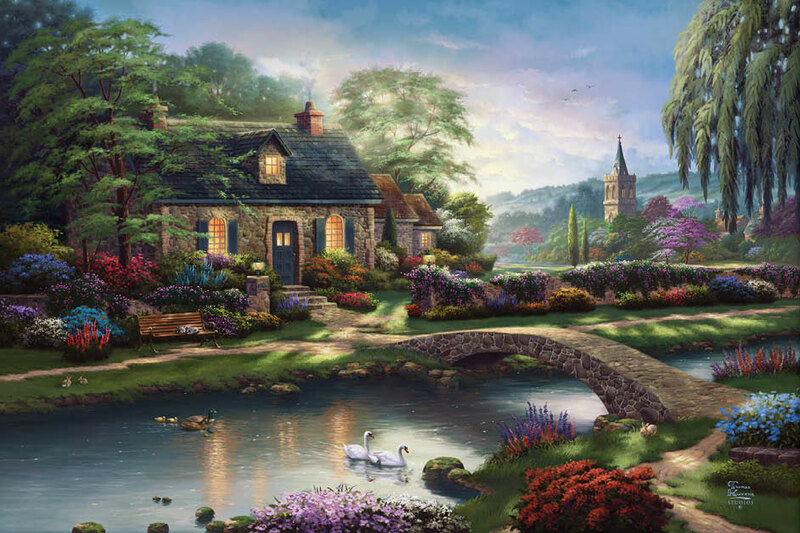 Thomas Kinkade’s Signature Gallery is located in Pigeon Forge, Tennessee – south of Sevierville, TN and north of Gatlinburg near the Smoky Mountains. 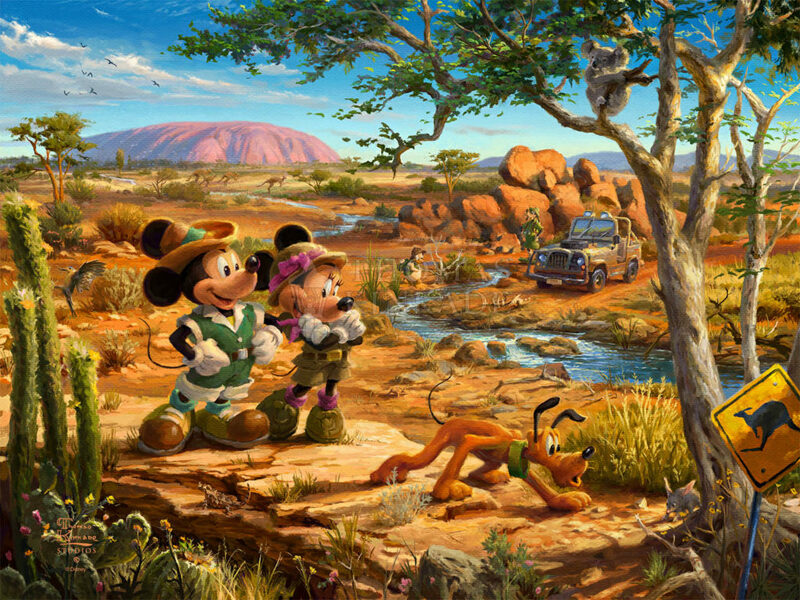 Browse our new and exciting Limited Edition Art releases available at the Thomas Kinkade Gallery & Gifts location in Pigeon Forge, TN. 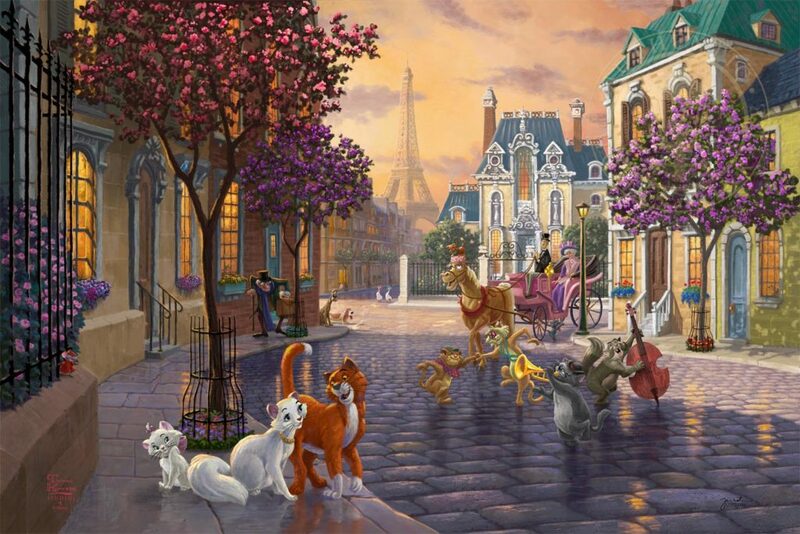 Thomas Kinkade Studios is proud to revisit the 1970 classic film The Artistocats, a story of love, family, companionship, greed, betrayal, heroes and true friendships…. Looking for things to do in Pigeon Forge, Tennessee? Our Signature Gallery is one of the top attractions, offering personalized services and support to the East Tennessee area, including Sevierville, Gatlinburg and the Smoky Mountains. We also serve Chattanooga, TN, and areas of southwest North Carolina and eastern Georgia. We invite any art lovers, enthusiasts, or collectors to call us and place an order by phone, order via email, or visit our art gallery – one of the newest Pigeon Forge Attractions – to speak with us in person. Whether you’re an art collector looking for a Limited Edition canvas painting, inspirational painting or heirloom collectible – or an enthusiast seeking wall art, a statement piece, gift, or home decor – the welcoming and informed team at our Pigeon Forge, Tennessee art gallery is available to help you. Thomas Kinkade’s Pigeon Forge Gallery is the Smoky Mountains’ premier spot for art collectors near Gatlinburg, Tennessee. 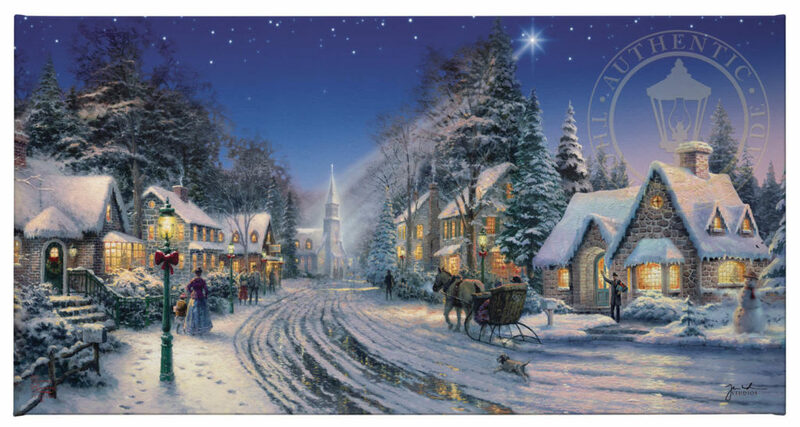 Our gallery staff is incredibly learned and experienced about Thomas Kinkade paintings, as well as works of art from many other popular artists such as Zac Kinkade and Robert Girrard.